For decades basketball has been a passion amongst the nomads and monks of the Zorge Ritoma region. 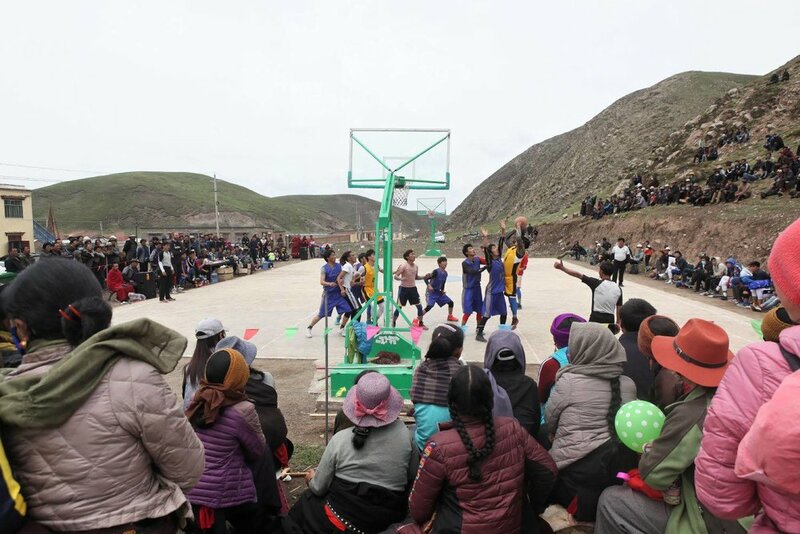 Years ago, using inflated animal bladders and leather to create make-shift basketballs, these Tibetans chose the best fighters to compete in their physical-style of play. With no formal coaching or exposure to basketball being played elsewhere in the world, Tibetans have taught themselves on their own. Now, with the help of Norlha’s connection with the rest of the world, the Tibetans of the Zorge Ritoma region are expanding their game. Norlha Basketball is fully supported by the social enterprise Norlha Textiles. Norlha is a groundbreaking fashion brand and a pioneer in the high-end fashion industry who’s holistic and truly sustainable approach has transformed the lives of hundreds of Tibetans. 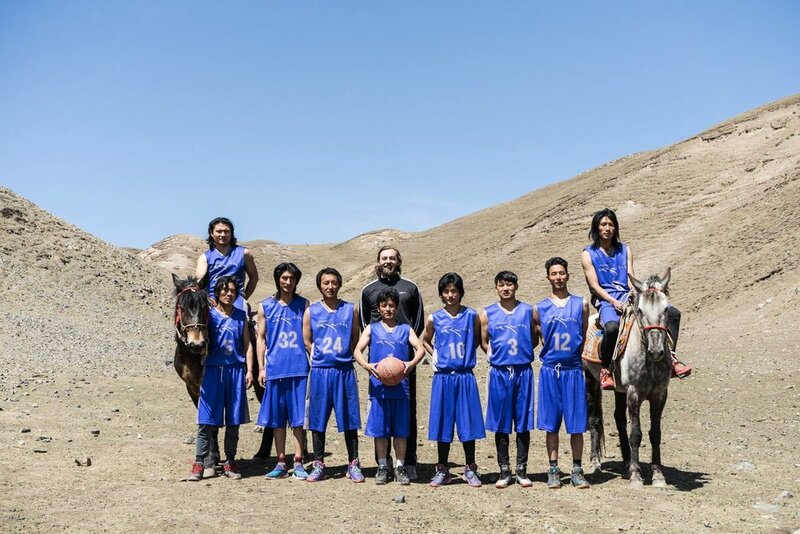 With the help of an American coach and former semi-professional player, the men’s team is the first formal semi-professional program of its kind on the vast Tibetan Plateau. Norlha employs two full-time players to train daily, coach the women and youth programs, lead community initiatives, and learn computer skills. The remaining players - artisans at Norlha or nomads in Zorge Ritoma - receive part-time salaries to train at practices and compete in tournaments around the Tibetan Plateau, China, and Hong Kong. The men’s team is lucky to have a number of high-level players and coaches travel to Zorge Ritoma to train them, including former NBA players. The women’s team is the first organized Tibetan women’s team in the region. Although there are no known Tibetan women’s team to compete against in the area, the women’s team competes against foreign teams who visit Zorge Ritoma, and have had the opportunity to travel to Hong Kong on several occasions to compete. They have paved the way for younger women and girls to feel empowered and have the confidence to play basketball and other sports with the men. The women’s team is lucky to have a number of former professional women’s players travel to Zorge Ritoma to help train them. Norlha Basketball also uses the sport to empower those with disabilities, hosting the first-ever Tibetan Wheelchair Basketball game in the region in 2018. Norlha welcomed 3-time Gold-meal winning Paralympian Alana Nichols to kick-start the program. Norlha Basketball is also supported by Norden Camp, Norlha’s sister company, another groundbreaking social enterprise in the luxury hospitality and authentic glamping industry. Read more about Norlha basketball in a featured piece in The Atlantic magazine, or watch the documentary on the team by Oscar-winner Ruby Yang called “Ritoma”. Or even better yet, join us! Travel to the Plateau for our annual Tibetan Hoop Exchange every May, Tibet 3x3 every September, and our on-going volunteer opportunities.